Photographers who still shoot on film claim they like the lo-fi, grainy aesthetics of the medium. But by that logic, they should be throwing hundreds of dollars at Dan Macnish who created a custom instant camera that converts what the camera’s lens sees into crude, stick figure doodles. Remember Google’s Quick, Draw! online game that used a neural network to attempt to guess what people were trying to draw? 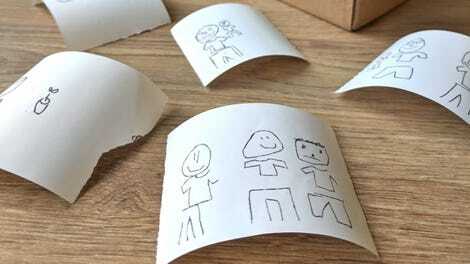 That game ended up producing a database of over 50 million identified stick figure drawings that Macnish was able to harness to help power his camera, which runs on a Raspberry Pi, with a thermal printer and some other electronics that help it function not unlike an iconic Polaroid does. But unlike a Polaroid, Macnish’s camera doesn’t have a viewfinder, or a preview screen. You blindly point it at a scene, push the trigger, and out pops a small doodle, not a photo, from the thermal printer.